The PlusBike tool from National Rail Enquiries is designed specifically to help cyclists who travel by rail with a bike, something I do really regularly as I travel so often for work and racing. The tool, available on the National Rail website and mobile app, has a whole host of applications for cyclists either travelling with a bike on a train, riding to and from a station or looking to hire a bike at the end of a journey, whether for transport or recreation. No one wants to turn up at a train station and not be able to get on a train or park their bike so the journey planner is really useful if you want to ensure smooth running of your excursion, holiday or commute telling you exactly how many bike parking spaces you’ll find at each station as well as whether a bike reservation is necessary with the company operating your train. As I mentioned before, generally I travel for races, meetings or shoots rather than taking my bike somewhere simply for a ride. And though I’m an avid traveller I spend a lot of time cycling outside of the UK rather than on this fair isle, unless I’m at home in Devon. So when PlusBike asked me to put their tool to the test I felt an opportunity to right that and see a little more of the UK from two wheels. The only problem was deciding where to go. With National Rail gifting me the train tickets I could have chosen anywhere in the UK and taken full advantage of their generous offer. But instead of plumping for a sleeper train to the Highlands or some such luxury I chose a journey that cost about fifteen quid round-trip. 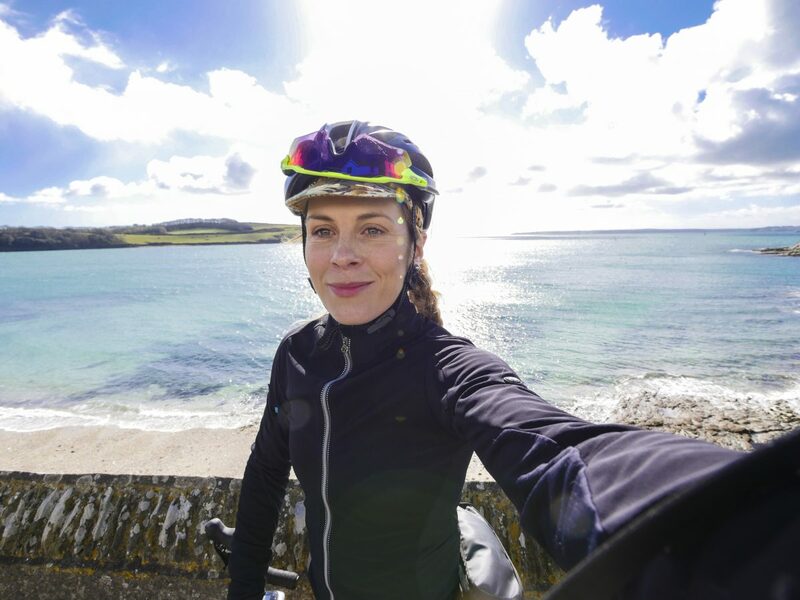 When I first moved to Devon and before I got really into bike racing I used to visit Cornwall regularly; we’d go camping, cycling, surfing, BMXing, sunbathing and fish and chip eating every spare moment we had, taking full advantage of our proximity to one of the UK’s most popular holiday destinations. We tended to stick to the western coast around St. Agnes, Portreath and St. Ives but I’d recently visited the southern side (the Lizard and Polperro) and been blown away by its beauty. 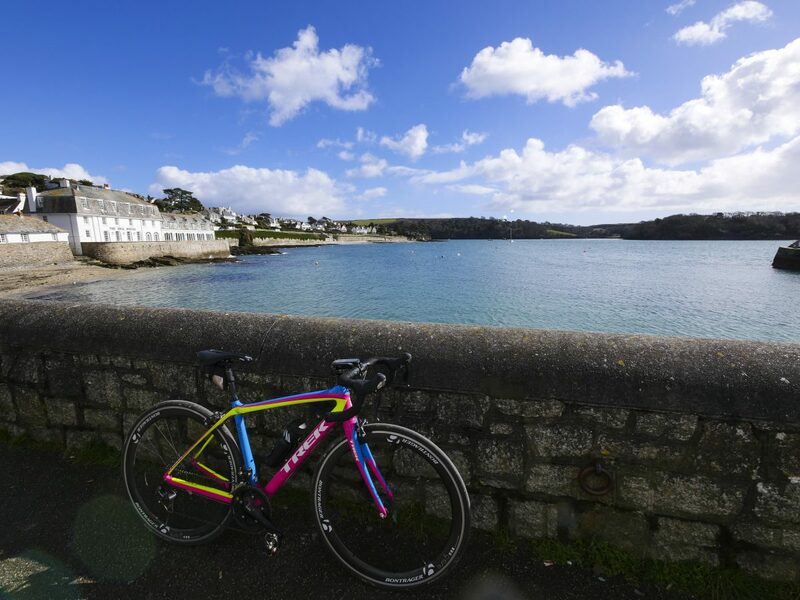 With little time these days for just kicking back in Cornwall (or my equivalent of kicking back – skateparks, dirt jumps, bike parks and surf) I knew that I wanted my day out to be in this lovely county. 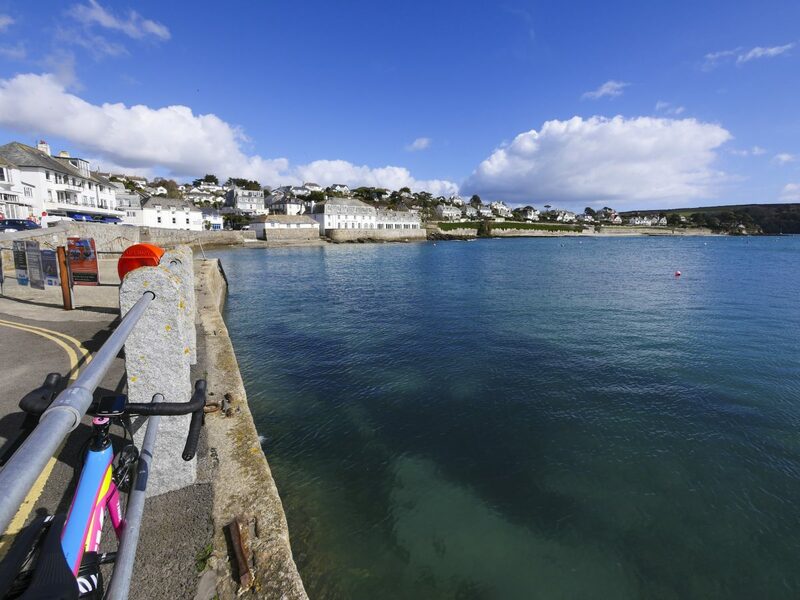 I opted for the area around Falmouth and St. Mawes because it looked nice on a map and I’d never been there. 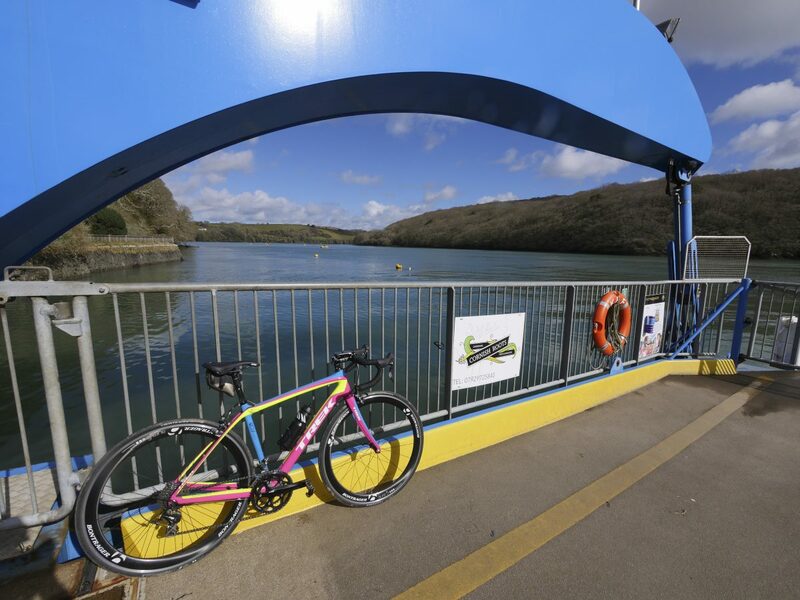 I knew that if I checked the weather forecast carefully I could pick a beaut of a day that would make riding along the Fal estuary a joy – nothing gives me greater pleasure than being by water on a sunny day; well, nothing except being on a bike by water on a sunny day. Once I’d locked down the day, all that remained was to plan my journey on the National Rail site using PlusBike to check out the cycle situation. A quick look told me the bike policy for Great Western Railway – I’d need a reservation for my bike so I clicked through to get the correct phone number, made the call and bought my tickets. Simple. The day of my excursion dawned bright and clear so with pockets stuffed with Tribe bars I rolled down to the station, grabbed a drink and clambered aboard, easily placed my bike into the space provided – no issues with reservations. A short snooze later I found myself in Truro ready to ride what looked like a delightful little route that took in two ferries, some rolling hills and the scenic village of St. Mawes. If you’d like to see just how gorgeous a ride I had and see the PlusBike tool in use then take a look at the video below. My PlusBike day out turned out to be one of the loveliest rides I’ve had in a long time, certainly one of the prettiest UK rides I’ve ever been on and it was possible because I made the effort to look outside my immediate vicinity and make use of my local train links. Treating myself to an entire day out on the bike was a real boost for my mood (after having flu!) and made a great change from the same old routes and the same old training that I often do. I think it’s easy to think you need to be on holiday to do this kind of thing, to treat yourself to an excursion or a whole day away from stuff like housework and shopping when it actual fact, you just need to clear a small amount of time in your schedule and maybe save that money you’d normally spend on a round of drinks and buy a train ticket and a sandwich instead. The planning and execution of my journey was a cinch using the PlusBike tool and it was so simple, easy and enjoyable to travel with my bike on the train. I’m 100% going to do this kind of thing more often. Do leave any suggestions of where I should go in the comments below. Thank you. I think it depends which train you get as there are two different types that operate on that line. 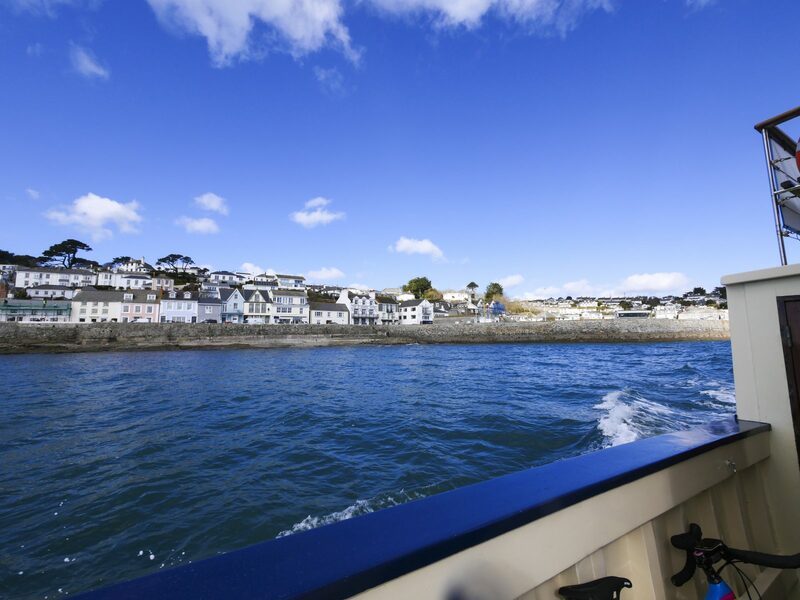 Loved your trip in and around Cornwall – beautiful little harbors and clear weather. How about a road trip around England, Scotland and Wales for all of us ‘armchair geographers’? Thank you, glad you enjoyed checking out Cornwall, so did I!